Blog a minimum of 3 times a week. 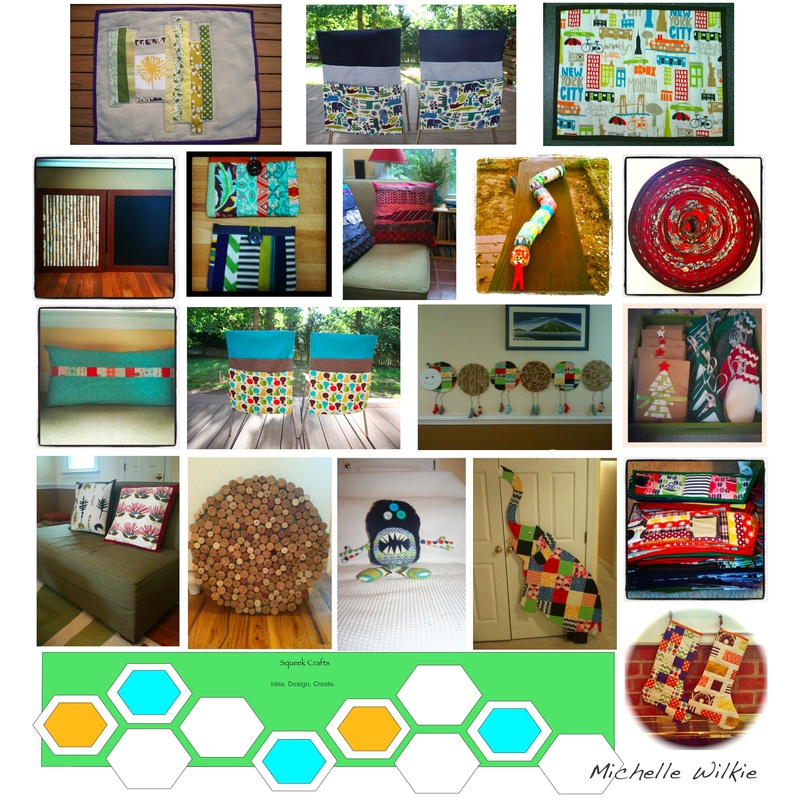 Build up my stock in my Etsy store and sell $1000 worth of merchandise. Participate in another craft fair. Squeek Crafts section: Finish my four seasons quilt, a quilt for my son, and the orange and grey quilt for our room and my Christmas stocking. Squeek Crafts section: Try 12 new sewing/quilt or patchwork projects e.g.. a weekender bag, something made from paper piecing. 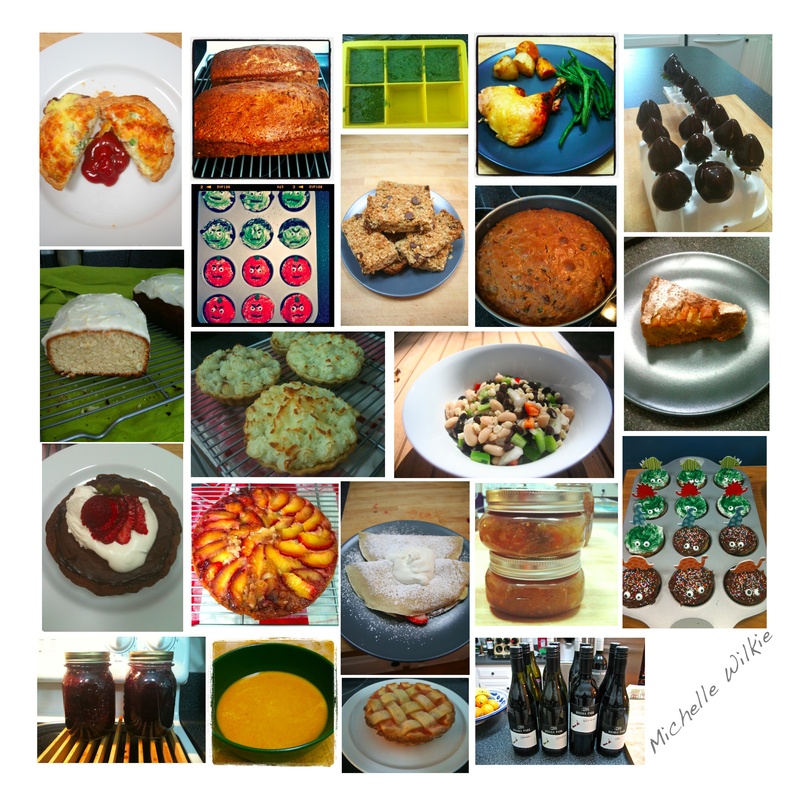 Edible Delights section: Try three new recipes out per month and post them (36 in total for the year). Framed section: Carve out some time to do some drawing and painting. I have 2 pieces in mind. Home and Garden Design section: Finish our backyard, renovate our guest bathroom (as it desperately needs a lift). Sewing or Quilting Projects: Made chair bags (for my store), cushions/pillows, placemats, gift card pockets, Christmas stockings, lots and lots of coffee cup sleeves (for my store and craft fair), made my son a monster. Craft Projects: Made recycled wine cork boards (for my store and craft fair), caterpillar wall display for a thank you gift at pre-school, and an Elmer growth chart (gift for a friend’s little girl), neck tie art piece (gift for my parents 40th wedding anniversary). This entry was posted in Uncategorized and tagged 2012 review, 2013, blogging, cakes, christmas stockings, Cooking, cork boards, crafts, cupcakes, diy, Etsy, food, gift card holders, goals, growth charts, home, home and garden, neck ties, pies, placemats, quilting, quilts, recipes, recycled wine cork boards, sewing, Squeek Crafts, tarts, weekender bag on January 15, 2013 by mlwilkie.